Bearhawk Aircraft of Austin, Texas, has formed Bearhawk Canada to expand its operations across North America. An agreement has been made with Mike Silvernagle in Saskatchewan to represent Bearhawk Aircraft in Canada for sales, service, parts and support of the three models of Bearhawk aircraft kits. Mike Silvernagle with his Bearhawk 4-Place and Bearhawk Patrol. 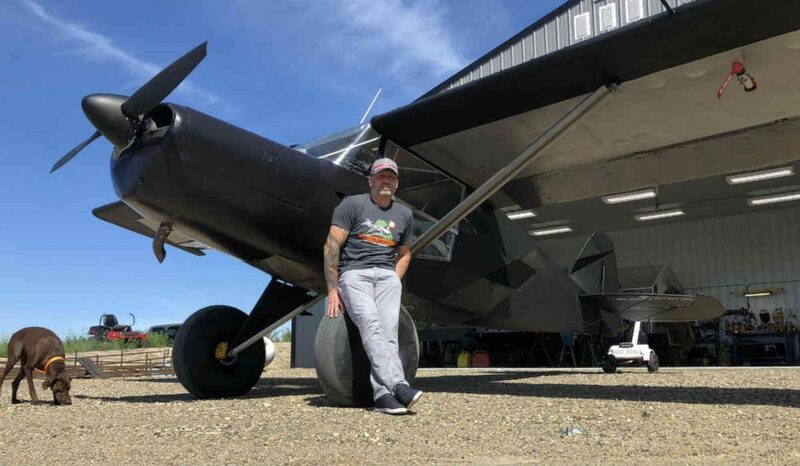 Silvernagle will base Bearhawk Canada operations on a private 2,500-foot grass strip in southeastern Saskatchewan where customers can check out the company’s aircraft and experience demonstration flights. Silvernagle has flown all three Bearhawk models, including the 4-Place, Patrol and LSA. Steve Busby of Aerolite in Ontario will support Silvernagle’s Bearhawk Canada drive. Silvernagle’s background in aviation started in the Canadian Advanced Ultra-Light Aeroplanes (AULA) category. Having built and flown various makes and models, he then became an instructor for these aircraft. Silvernagle owned and operated a Piper PA18-160 Super Cub, an Aeronca Champ and a Cessna 185. Silvernagle recently purchased a flying 4-Place Bearhawk and he is also nearing the completion of his Bearhawk Patrol quick-build kit project. He will follow with the construction of a Bearhawk LSA, also from a quick-build kit. Silvernagle plans to take the Bearhawk LSA through the approval process for AULA in Canada. The 4-Place Bearhawk fills a utility and transport role with its large cabin, explains the company, while the Bearhawk Patrol is a tandem 2-place version that excels at accessing remote airstrips. The Bearhawk LSA is a lightweight design that meets U.S. Sport Pilot requirements. Each aircraft shares backcountry qualities, explains the company, that include stable slow flight and higher than expected cruise speeds.